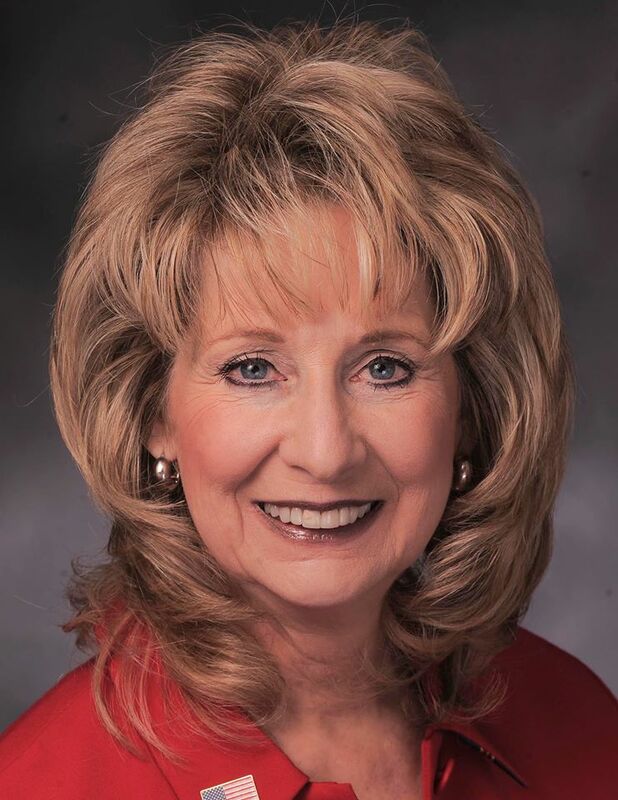 Rep. Kathryn (“Kathy”) Swan, represents Cape Girardeau and part of Cape Girardeau County (District 147) in the Missouri House of Representatives. She is President of JCS Wireless, a small wireless communications company located in Cape Girardeau, Missouri. In addition, she has worked in a variety of nursing areas including progressive care, employee health, infection control, administrative supervision, and as a clinical instructor. Professionally, she has served as Chair of the Great Lakes MSS Association, Chair of the Missouri NFIB Leadership Council, Vice-Chair of the Cape Girardeau Area Chamber of Commerce Board of Directors, and board secretary of Sigma Theta Tau (an honorary nursing association). Currently, she serves as a board member of the Missouri Chamber of Commerce and Industry, Missouri Family and Community Trust Board, and honorary member of the Board of Governors of Show Me State Excellence in Public Service Series. Rep. Swan was elected to the General Assembly in November 2012. Previous elected offices include Cape Girardeau Board of Education, Cape Girardeau City Council, and Missouri Republican Party State Committeewoman. She served over 9 years on the Missouri Coordinating Board for Higher Education, initially appointed by Gov. Holden and reappointed by Governors Blunt and Nixon, and served two terms as board chair. Previous state board service includes the Missouri METS Coalition (Math, Engineering, Technology, & Science), Missouri Higher Education Loan Authority (MOHELA), the State P-20 Council and the Missouri Congressional Awards Council (appointed by former Congresswoman Jo Ann Emerson). She is a former commissioner of the Senate Reapportionment Commission, appointed by Gov. Nixon, former commissioner of the Cape Girardeau Planning & Zoning Commission, and former treasurer of Team Emerson. Other board experience includes District 7 Governor of Zonta International, United for Missouri, American Freedom and Enterprise Foundation, Southeast Missouri P20 Council, Cape College Center, Southeast Missouri State University Symphony, Southeast Missouri State Catholic Campus Ministry, United Way of Southeast Missouri, Saint Francis Medical Center Foundation, American Heart Association, and American Cancer Society. Actively involved with numerous local community service groups for many years, Rep. Swan has been instrumental in the formation the Cape College Center, a collaborative educational initiative involving Southeast Missouri State University, Mineral Area College, Three Rivers College, Southeast Health, and Cape Public Schools to provide greater access to lower division post-secondary coursework in Cape County. She was also been actively involved in creating the GRACES Women’s Leadership Team of the United Way, in founding the SEMO P20 Council and development of the Leadership Cape program. While serving on her local school board, she became the first Missouri School Boards Association “certified” board member and was instrumental in the updating and maintenance of uniform board policy books throughout the district. Legislative awards include: 2013 Freshman Legislator of the Year and 100% Voting Record in 2013, 2014 and 2015 from the Missouri Chamber of Commerce and Industry; 2015 Advocate of Music Therapy Award and 2015 Friend of Music Therapy Award from the American Music Therapy Association; 2013 Music Therapy Advocate Award from the Kansas City Metro Music Therapists & St. Louis Music Therapy Association; 2014 Freedometer Award from Concerned Women of America; 100% Voting Record in 2014 and 2016 on Small Business Issues from the National Federation of Independent Business; 2014 KIDSWIN AWARD from Missouri Children's Leadership Council; 2014 MCCA Distinguished Legislator Award from the Missouri Community College Association and 2014 initiation into Sigma Alpha Iota as a Friend of the Arts for her work on music therapy legislation, 2016 Legislative Award from the Missouri Association of Career and Technical Education, and the 2016 Legislator of the Year from the Missouri School Counselor Association. Other awards include: Vision 2000 Award of Distinction, Zonta Woman of Achievement Award, Girl Scouts Women’s Impact Award, Community Counseling Center Outstanding Achievement Award, Dr. A. M. Estes Award from the American Heart Association, Volunteer of the Year from the American Cancer Society, NFIB/Missouri 2008 Small Business Champion, and the first recipient of the Outstanding Leadership Cape Girardeau Alumni Award in 2004. She has been honored as the commencement speaker for Southeast Missouri State University, Three Rivers College, St. Charles Community College, North Central Missouri College, Mineral Area College and ITT Technical Institute. In 2003, she was invited by NFIB to serve as a participant in a roundtable led by President George W. Bush focused on the role of small business in stimulating the nation’s economy, followed by an invitation from President Bush to the White House for the signing of the Jobs and Growth bill. She has also served as the Faculty-in-Residence for the Women in Public Life 2012 Leadership Academy at UMSL. Rep. Swan has been featured in the first edition (July 2011) “Women to Know in Missouri” section of The New You magazine, by KFVS-TV 12 and the Southeast Missourian regarding women in business and in My Business, The Small Business Magazine from NFIB, in 2006 and 2010 and in 2015 by Women in Government, a national organization of female state legislators. Only two female Missouri legislators have been highlighted in the “Get to Know the 24%” media campaign, with Swan as the only Missouri state representative. Rep. Swan resides in Cape Girardeau with her husband of 45 years, Reg. They have two children who work in the family business, Regan and Maria, and four grandchildren, Sonnie Kathryn Childress, Tripp William Swan, Mackenzie Hahs, and Peyton Hahs.